If you’re on the hunt for a new home in the new year you don’t have to wait for the ball to drop – you can start acting on your new year resolutions now to prep for one of the biggest purchases of your life! 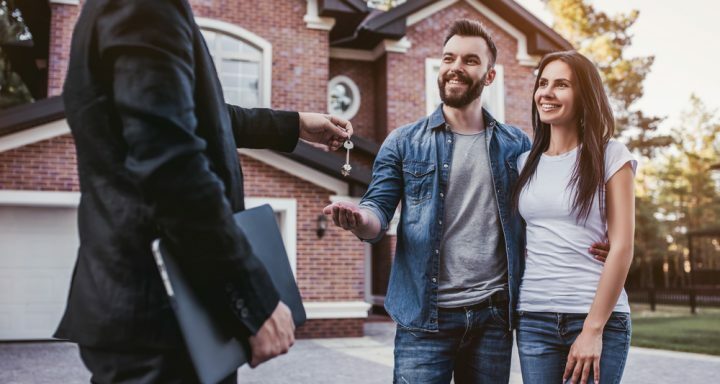 RE/MAX has put together some top tips if your goal for 2019 is to become a homeowner. Saving for a down payment on a new home is one of the most important parts of the home buying process. It’s important to plan out your savings now if your goal is to purchase a new home in the future. The median sales price of a home in the U.S. is now $235,000 – you may need at least 20 percent as a down payment or close to $50,000. Make sure there are no surprises on your credit report. One of the first things your mortgage lender will do is check your credit to determine your debt-to-income ratio to determine how much of a mortgage loan you qualify for. According to credit-rating company Equifax, a score of 690 or higher is considered “good.” If your credit needs clean-up, start working on it now so that your score is up to par before you start the pre-qualification process. Sitting down with a mortgage lender now can save you time later. Securing pre-approval on a mortgage will usually lock in an interest rate for 90 days and allow you to focus on homes that are in your price range. Curb any shopping sprees you may have planned. Big purchases like a new car or a family vacation before buying a house can affect your debt-to-income ratio and can affect how much money a lender is willing to lend to you. Working with the right real estate agent who has experience in your local area can make all the difference. RE/MAX agents are more recommended because they recommend what’s right for you – and your kids. Find an agent today at remaxallpro.com. The numbers prove it: RE/MAX agents continue to have leading productivity. Here are five facts to know from the 2018 REAL Trends 500 Report. • RE/MAX agents averaged 17.0 transaction sides, more than double the average of 7.5 for all other agents in the survey. • RE/MAX was one of only four national franchises with an average exceeding the overall survey average of 8.3 transaction sides per agent. • Of the 1,752 qualifying brokerages, one-third (565) were affiliated with RE/MAX. The nearest competitor placed 392. • RE/MAX agents averaged $4.6 million in sales volume, 78% higher than the $2.6 million average of all other agents in the REAL Trends 500 survey. • With 89, RE/MAX brokerages hold even more of the top 100 spots when all participating brokerages are ranked by average sides per agent. As a renter, you have the luxury of choosing a place that meets your needs at the moment.​ Buying a home is a much bigger commitment, both in terms of finances and the length of time you’ll likely live there. When seeking out your first place – whether a house or condominium or anything in between – it’s important to do your homework. Here are 5 things to consider as you begin the process of purchasing your first place. 1. The growth possibilities. Shop for a place that meets your current spaces needs, but also consider one that can adjust to a changing household. A five-year plan may not pan out as you expect, so think about possible life changes that could impact your need for bedrooms, bathrooms and square footage. 2. What’s under the hood. Your first place may not come with many frills or luxury features – but all the basics should be in good condition. Thoroughly inspect prospective properties. And before any purchase is made, hiring a professional inspector is a must. Your real estate agent can guide you through this key step. 3. Know that no home will be perfect. Your first home may likely not be the perfect place. But make it the right one. Finding the right home is often a matter of prioritizing. Make a list of “must haves,” along with “nice to haves” and “not necessary to haves.” A three-car garage is nice, but would you rather have a larger kitchen or live in a good neighborhood? Only you can measure the importance of the amenities you are looking for. 4. Consider ALL the costs of ownership. When you buy a home​, you take on recurring costs you don’t have to worry about as a renter. Look for a home that meets your budget in terms of full living costs – mortgage, utilities, trash pick-up, sewage fees, homeowner’s association dues and other fees. Your lender doesn’t take into account these costs when approving your home loan. A good real estate agent can help you calculate estimated monthly costs to determine the most appropriate price range for you. 5. The lifespan of things. In addition to identifying cosmetic and structural flaws before you buy, know what to expect from the home’s components. How long until you need to replace the roof, appliances, furnace or carpet? Everything may be in working order now, but all homes need these types of repairs at some point. Researching the expected remaining life on large-ticket items can help you plan for the future. When you’re ready to start the process of buying a home, RemaxAllPro.com will be ready to help. 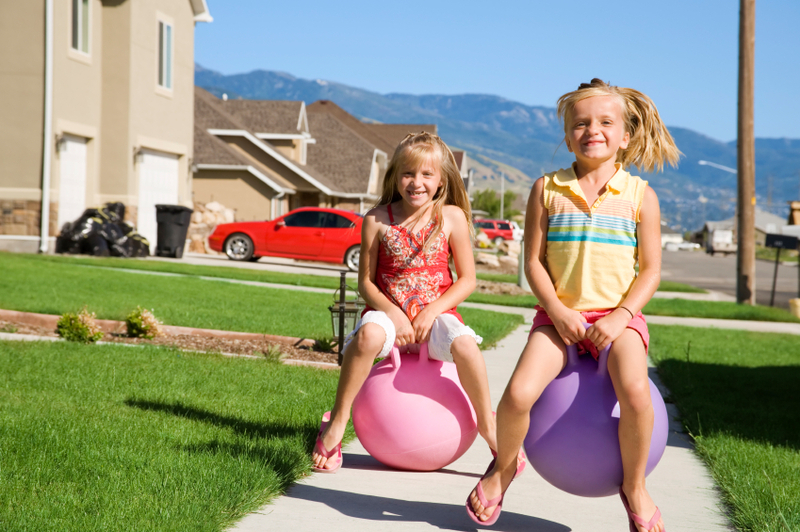 With winter’s short days and colder temps, you’re less likely to hang out outside and run into your neighbors. Gather the gang and catch up with these fun ideas for grown-up get togethers. It’s been around since the 1800s and never gone out of style. The game requires dice and no skill or strategy whatsoever—perfect for an evening of chatting with friends. Here are the rules. You provide the cheese and invite neighbors to bring things to dip. Dessert should, of course, be served with a chocolate fountain. Coordinate a progressive dinner party with neighbors and enjoy each dish, and perhaps a new variety of wine, in a different home. Host a murder mystery party. Download storylines and clues from the web or order a kit with costumes. It’s always a fun way to kill an evening. A luau-themed party may be the closest you’ll get to a beach vacation this winter. Grass skirts, plastic leis, tropical drinks, hula tunes and a few rounds of limbo will help warm things up. Indoor tiki torches not recommended. Love to entertain, but squeezed for space? Your Realtor can give you an idea of new home opportunities could broaden your party horizons. Find an agent to consult here. After weeks (or even months) of searching for a home, you’ve finally found the perfect home. Unfortunately, you have excellent taste and there are five, 10, maybe even more offers on the table. If you’re caught in a bidding war, there’s more you can do than cross your fingers. Here are 3 strategies that may help turn the odds of winning the war in your favor. Do whatever you can, within reason, to make the decision easier for the seller. This can include being flexible on the closing date to accommodate the seller’s moving plans. And although it’s not unusual for buyers to ask a seller to pay for a portion of their closing costs, now may not be the time to press your luck. If you’re able to cover your own closing costs and you don’t ask for seller assistance in your offer, you definitely could stand out. Also, the greater your down payment, the more secure a seller may feel that your mortgage financing will close with no problems. That’s not to say you can’t compete against someone who is offering a larger down payment; sellers will weigh various factors as they review offers with their agent. Overall, limiting your requests of the sellers and submitting your highest and best offer are the best approaches to being competitive. Both you and your agent should be constantly monitoring homes for sale so you can evaluate potential homes as quickly as they’re posted. Research the properties as much as possible before your showings so you can be prepared to make an offer on the spot if the home is a good fit. Talk with your agent about adding an escalation clause into your offer that automatically increases your bid if other buyers come in. Finally, include a pre-approval letter from your lender stating that you qualify for a loan in the amount of your offer. There isn’t always a lot of cash separating the top bid from the next closest contenders. For a seller with a strong emotional attachment to their home, an extra thousand dollars might mean less than passing their house along to the right buyer. Draft a letter describing why you fell in love with their house. Is it the perfect size for your growing family? Do you want to bring the backyard garden back to life? It just might give you the edge over the competition. If you’re looking for advice tailored to your specific situation, a licensed buyer’s agent may be able to help. Contact a local RE/MAX All Pro agent today. Thanks to the Internet and your Realtor’s digital tools, you can learn a lot about a home before visiting, such as when the house was built and the HOA or tax costs. Some things, however, are best to ask the agent in person when you’re touring a property. 1. Why are the owners selling? The agent isn’t obligated to tell you, but he or she might. The answer could reveal issues not included in the listing description. Is there a new highway planned nearby? Are the HOA restrictions too much for the sellers to handle? If the agent does reveal, for instance, that the owner is desperate to close quickly, you might be able to use that to your advantage when negotiating price. 2. What’s the sellers’ timeline? Do the property owners need to relocate immediately for work? Or are they waiting for their children to finish the current school year? It’s important that your timeline for moving into the home and the owner’s timeline for moving out line up. 3. What, exactly, is for sale? Find out precisely what’s included in the sales price. That nifty new fridge with the built-in smart screen you admire might be going with the sellers to their new home. Learn whether the appliances and fixtures, such as ceiling fans, are included in the sale price. 4. Are there any issues with the property? Yes, the sellers are required to reveal most problems, but a chatty sales agent might reveal more than is included in the disclosure document. It certainly can’t hurt to ask. 5. How are the neighbors? Ask about the types of people that live nearby. Retirees? Young families with kids? College students? The primary population will influence the overall culture of the neighborhood and can help you determine if this is the home for you. 6. Have the owners completed any major home projects? Lots of recent home improvements could mean the property is in better shape than ever, ready for you to enjoy. It could also indicate more work will need to be done in the future. Be sure to get the full story about any recent property updates. You’ll have tons of questions as you search for your next home. A RE/MAX agent can help you find the answers. To meet an agent, start here: www.remaxallpro.com/agents.